Before MOT computerisation it was very difficult for DVSA the governing body to control MOT test procedures and Testing Stations. This was because paperwork was handwritten and some districts being as far as three years behind with such. Over the past seven years plus, since the roll out of computerisation things have changed dramatically. DVSA are now able to keep a watchful eye on every test station at all given times, they can also log onto the computer remotely that a tester works from to gather information. You could call them “big brother”. 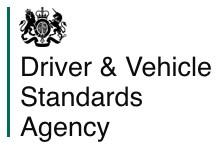 Now that DVSA are able to do this, each and every MOT testing station are graded as to watch over non-compliant test stations and indeed testers themselves. This is called a traffic light system. Not many members of the public are aware of this and some MOT testing stations are not forth coming with their status. MOT test stations in this category have proven themselves to be fully compliant with MOT testing standards which are in place along with also being fair to the consumer. There is no risk of work generation from MOT failures. All MOT testers are up to date with current regulations, all workshop staff are fully qualified to carry out any repairs should they be needed. The customer service offered is satisfactory along with a clean and tidy waiting area. Health and safety regulations are fully complied with. It is very difficult to obtain “GREEN STATUS” and even harder to maintain it due to the expectation of DVSA visits being of a higher standard each time such a visit occurs. MOT test stations that are in this category are classified as being medium risk. On regular visits from DVSA they prove the ability to almost get it right. However, there are still shortcomings in relation to testing standards, poorly maintained equipment and health and safety issues. MOT test stations that are in this category are the highest risk for many many reasons. The main reasons are that they are proven by means of regular visits from DVSA to be non-compliant in many ways. i.e. they offer MOT tests at dramatically reduced cost in the hope that repair work can be generated from failures, have high or low failure rates, equipment that is not correctly maintained and calibrated, have poor waiting areas and dirty workshops. Also being non-compliant with health and safety regulations. We are not suggesting that all Test stations that are in this category operate like this, but have picked out some of the major reasons for falling into the “RED CATEGORY”.